Bharat Sanchar Nigam Limited (BSNL), the state-owned telecom operator has been making all the stir in the industry right now with back to back revisions of its plans and some new offerings which are proving to be an allure for the customers. In its latest move, the telecom operator has announced the discontinuation of two of its plans. BSNL has announced that it will be withdrawing its Plan Maximum 999 recharge along with the annual Rs 2,099 plan from its portfolio. Notably, these two plans were long term plans from BSNL and came with a yearlong validity. BSNL introduced the plans during a time when the industry was seeing a lot of such debuts from different telcos. Apart from this, BSNL has also announced that will be making some changes in the validity of the BSNL Sixer 666 plan only to increase it. Here are all the details about the changes in these plans. It is crucial to note that the two plans mentioned above have been discontinued by BSNL effective April 15, 2019. To recall, the Plan Maximum_999 used to come with a massive 365 days validity, therefore, offering yearlong benefits for the subscribers. The plan was also bundling 3.2GB daily data for 181 days or half the total validity. Additional perks of this plan also included 10 SMS per day and free unlimited voice calling. The other plan which has been discontinued by BSNL is the Recharge Rs 2099 plan which also used to come with 365 days validity offering unlimited calling even to Delhi and Mumbai circle, 6.2GB data with after FUP speed of 80 Kbps and 100 SMS per day. Another change which BSNL has done to its prepaid portfolio has to do with the validity of the Rs 666 BSNL Sixer plan. Notably, this plan offers 3.7GB daily data to the users with after-FUP speed of 40 Kbps, 100SMS per day and unlimited calling across India, free-roaming except to Mumbai and Delhi circles. Now before this recent change, BSNL was offering 122 days of validity for this plan, but now the telco has increased the validity of this plan to 134 days. To recall, a few days ago, BSNL revised the same Rs 666 plan and reduced the validity from 129 days to 122 days, but thankfully, it has now revised the plan again to provide better validity than ever. The revision is effective across all the circles where BSNL has its operations right now. 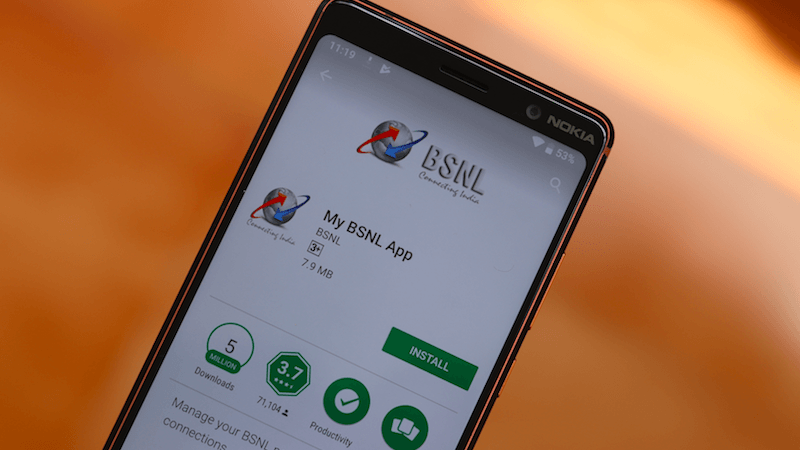 BSNL is still providing the Rs 1,699 yearly prepaid plan and it did not provide any reason behind the removal of Rs 2,099 prepaid plan that was launched alongside the Rs 1,699 plan. BSNL has also recently announced the revision of some of its postpaid plans as well. Some of the high range postpaid plans which BSNL offers like the Rs 525 and Rs 725 postpaid plans were revised to provide more data. The Rs 525 postpaid plan which was bundling 15GB monthly data previously, was changed a few days back to offer 40GB monthly data benefit. Similarly, the Rs 725 postpaid plan by BSNL now offers 50GB monthly data benefit to the subscribers. what daily data 666 plan provides?6gb?